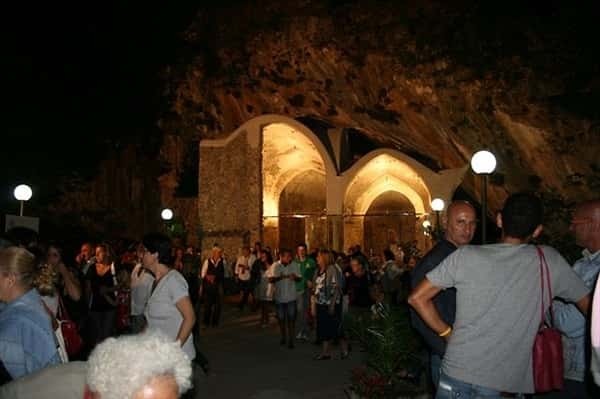 "Wine and Traditions Festival", which held every summer in the small village of Gete, hamlet of the town of Tramonti, on the Amalfi coast, will be for you a really unforgettable experience, if you are looking for a not-conventional event, characterized by local wine and delicious traditional food! The full menu price was 13 euro an also included a glass and a practical cup holder. The dinner started with a cinnamon scented sangria and a fresh appetizer (caponata, provola and ricotta cheeses and excellent local meats). 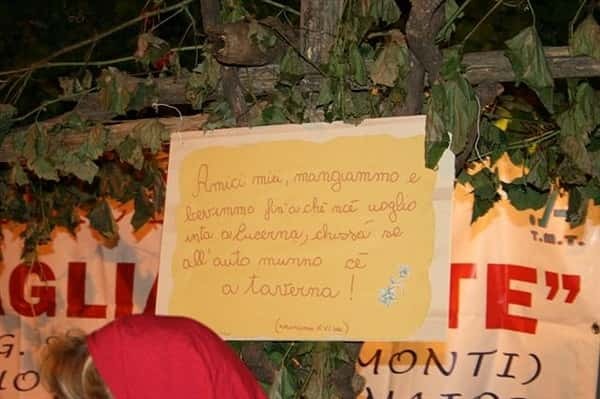 The first glass of wine we sipped was offered by Azienda Agricola Reale and produced by Tintore grapes. 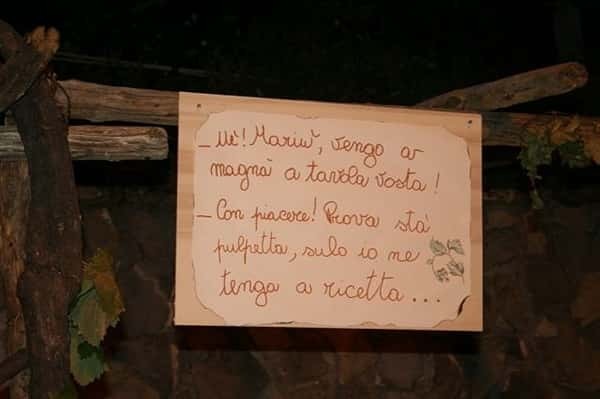 Savoring the aromas and the flavors of this wine, we enjoyed to read ancient rhymes, posted at each stand. The first course consisted in a portion of delicious "fusilli alla tramontana" (fusilli pasta with pomodorini del piennolo - small tomatoes - and meat sauce) and one of "pasta e patate allardate" (pasta with potatoes and lard), prepared according to the traditional recipe. The second glass of wine was offered by Cantine Apicella. 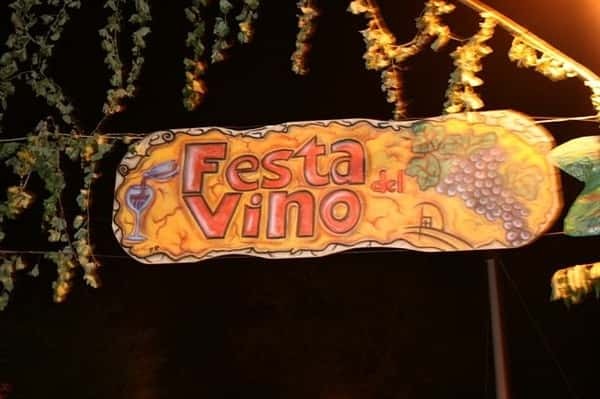 The festival run along the main street of Gete, through the bed of a small river and a picturesque vineyard. 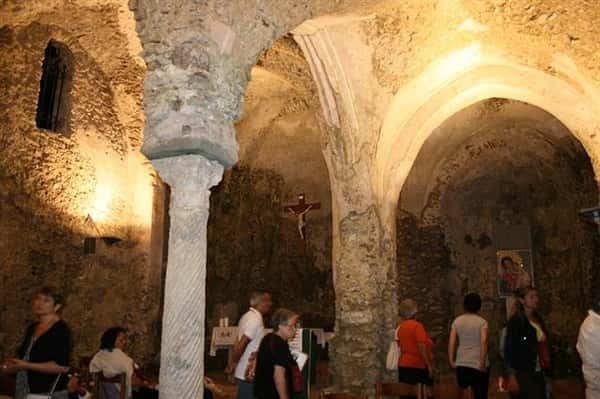 Finally we arrived at the rocky Chapel of San Michele Arcangelo which, until a few years ago was totally abandoned, has been completely restored and opened to public. Fresh table grapes and local strong wine was offered beside the chapel. The atmosphere was cheered by the lively music of local "tammorre". After wild dances and traditional songs, we had an excellent second dish (mixed meat with potatoes) and another glass of wine offered by Cantina San Francesco. 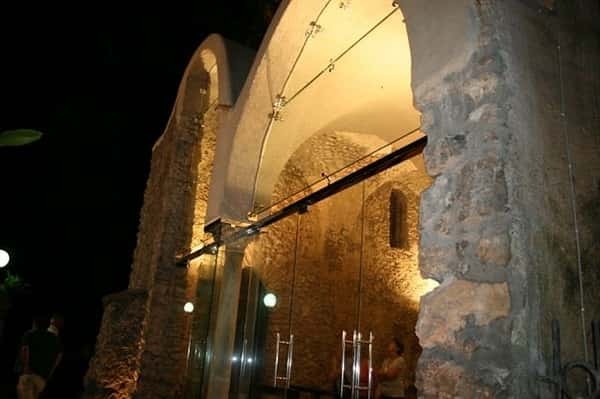 Beside the main church of the village, delicious cakes prepared by Salvatore De Riso, the master pastry chef of the Amalfi coast, were waiting for us! 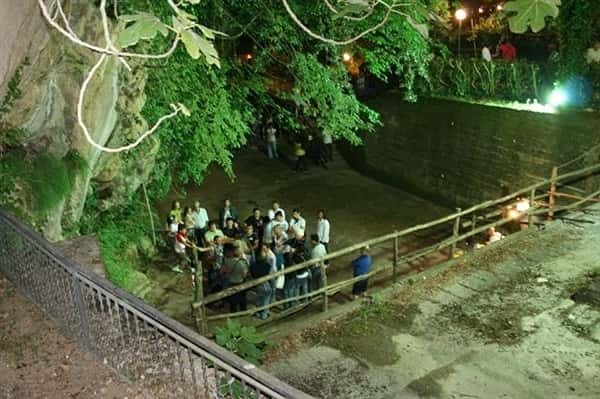 It was really a positive evening: the good food, the excellent local wines, the sweeping music of "tammorre" and the characteristic location make this one of the most awaited summer event of the Amalfi coast!